With all the vintage cards I’ve been showing on Puck Junk lately, you probably think I’ve turned my back on newer cards. 2009-10 Upper Deck #203 – Matt Duchene (Young Guns). This one cost me the most out of all of these. I think I got it for less than “half book” if memory serves me correctly. 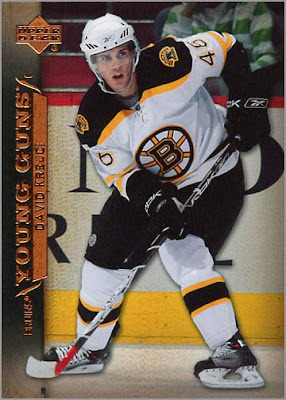 Now, only 26 more Young Guns, and my 2009-10 Upper Deck set will be complete. 2008-09 Champ’s #137 – Darren Helm. 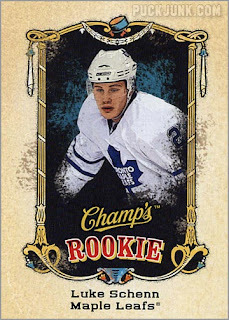 Only 5 more cards and I’ll have all 100 of the Champ’s Rookies from this set. 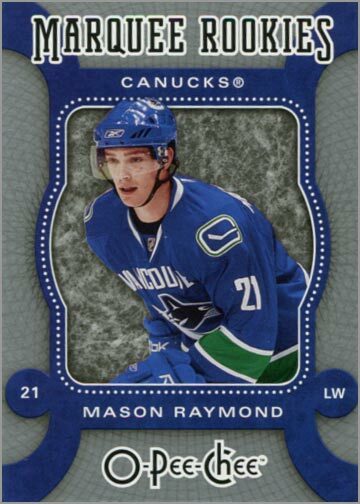 2007-08 O-Pee-Chee #596 – Mayson Raymond (Marquee Rookies). 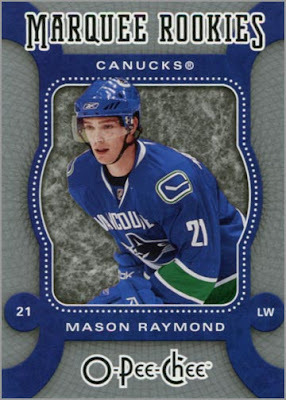 I like Raymond, and couldn’t pass this up for a quarter. 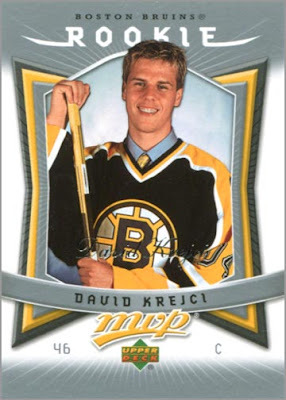 2007-08 MVP #208 – David Krejci. Totally worth the buck I paid for it. 2007-08 Black Diamond #158 – David Krejci (Rookie Gems). 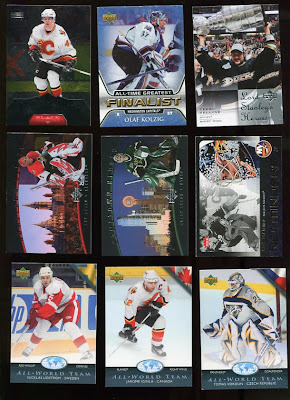 I am slowly putting together the 2007-08 Black Diamond set, including all short prints. 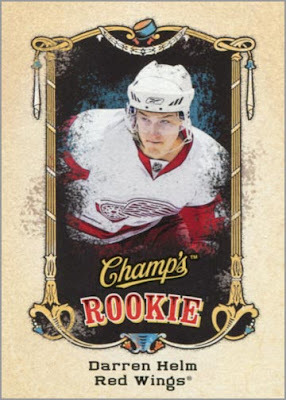 I think I got a sizable stack of the short prints for next to nothing (including a Quadruple Diamond Wayne Gretzky), so I pick away at this set when I find a card. This cost me only $2. 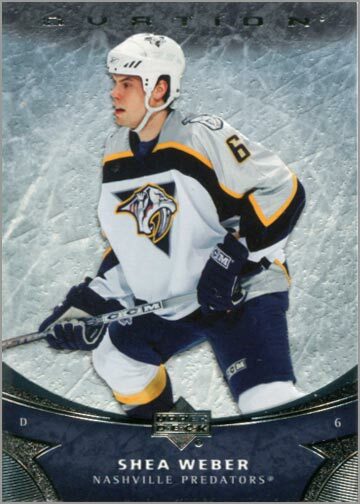 2006-07 Upper Deck Ovation #178 – Shea Weber. 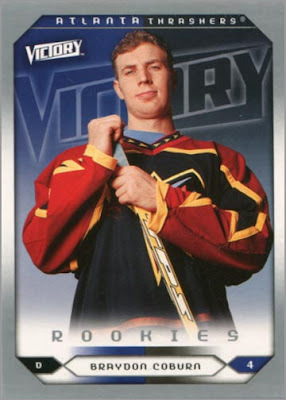 I’ve been a fan of Weber since his rookie season. 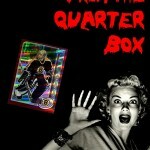 Hie is an awesome defenseman, and I always try to pick up his various rookie cards when I find them. 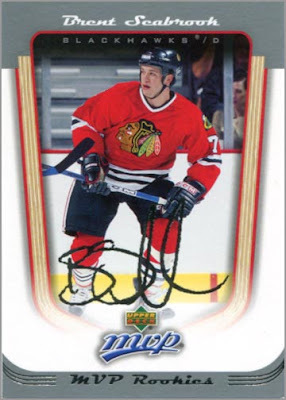 2005-06 MVP #431 – Brent Seabrook. When I see a rookie card of a decent Blackhawk for a quarter, of course I’m going to pick it up. You all may know Seabrook as Duncan Keith’s defensive partner. 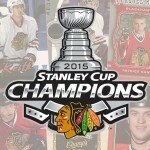 The two are effective together – in fact, Seabrook was on the 2010 Canadian Olympic team so that Keith could be paired with him at the Olympics. 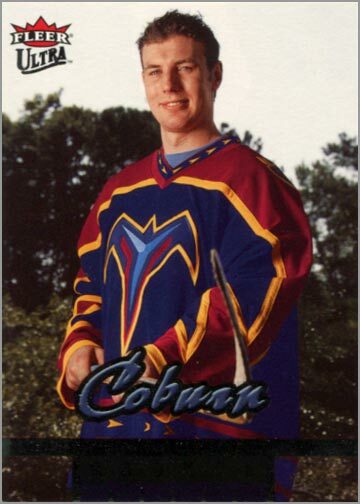 2005-06 Fleer Ultra #201 – Braydon Coburn. Coburn spent a season with the Chicago Wolves (2005-06) and has since developed into a reliable defenseman who always comes back. (If you don’t get the reference, watch this 30-second video). 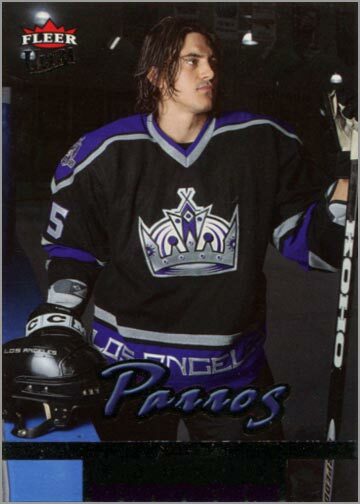 2005-06 Fleer Ultra #220 – George Parros. This was Parros before his mustache phase. 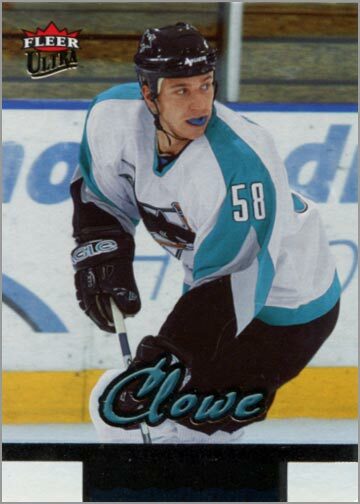 2005-06 Fleer Ultra #241 – Ryan Clowe. I got all 3 RCs from this set for a quarter each. I bought the Coburn and Parros cards because I like those players, but this one I actually needed for my set. I’m 34 cards away from finishing it, including Sid and Ovie, so it’s gonna take a while. 2005-06 Victory #298 – Braydon Coburn. Glad they didn’t use the same photo as the Fleer Ultra card pictured above. 2005-06 Victory #280 – Ryan Getzlaf. I couldn’t belive that I found this card for only a quarter. Two of them, in fact. 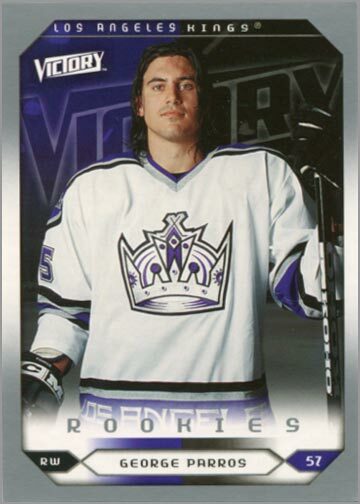 2005-06 Victory #277 – George Parros. 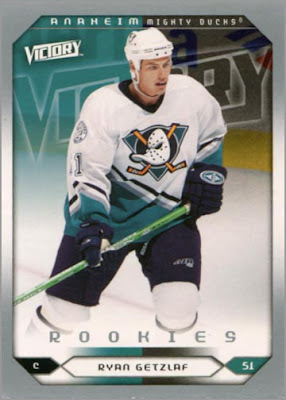 Another RC of the Ducks’ enforcer. 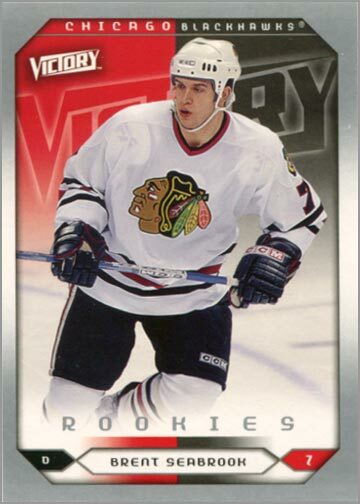 2005-06 Victory #253 – Brent Seabrook. Another RC of “Seabs”. 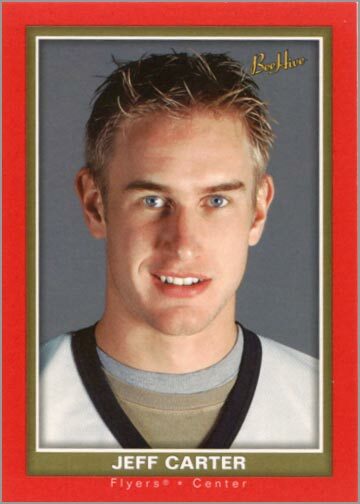 2005-06 Beehive #103 – Jeff Carter. I like the portrait style, head-and-shoulder photographs used for the rookie cards in this set. 2005-06 Beehive #126 – Henrik Lundqvist. 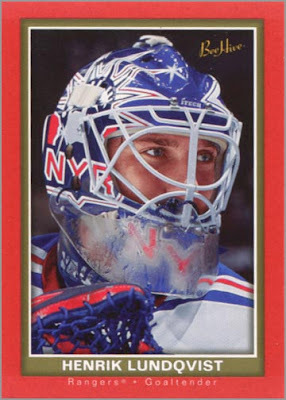 A rookie card of “King Henrik”. Worth every cent of the one dollar I paid it for. 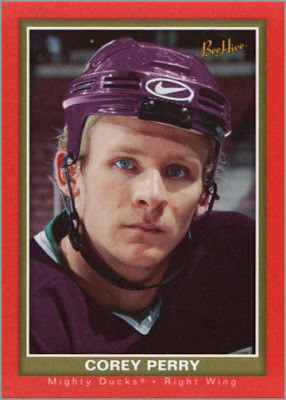 2005-06 Beehive #104 – Corey Perry. His bright blue eyes make Perry look like one of the Fremen in Dune. 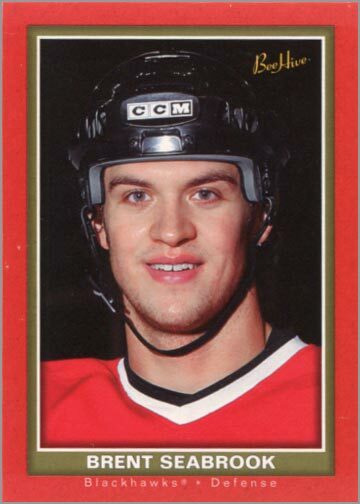 2005-06 Beehive #122 – Brent Seabrook. 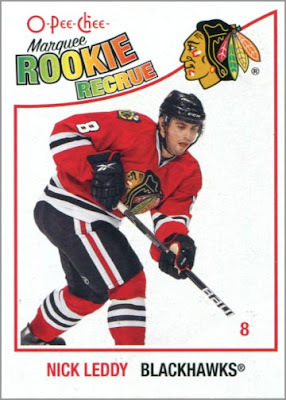 Yes, another Seabrook RC that I couldn’t pass up. 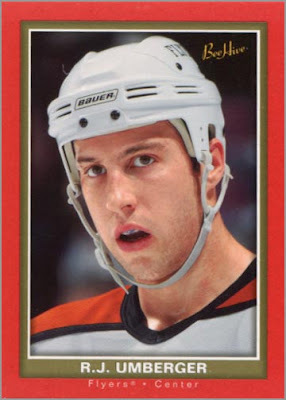 2005-06 Beehive #134 – R.J. Umberger. This guy has been a solid player for the Columbus Blue Jackets the past 3 seasons. 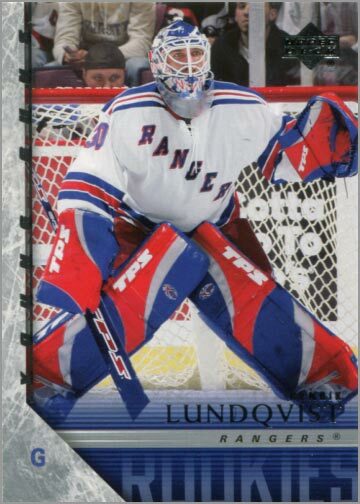 2005-06 Upper Deck #216 – Henrik Lundqvist (Young Guns). This card has a “book value” of $12 to $30, so I thought it was an absolute steal for $10. 2005-06 Upper Deck #215 – Jimmy Howard (Young Guns). 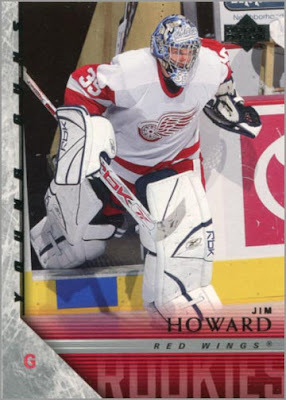 This photo of Howard stepping out onto the ice is pretty cool. Also note that he’s wearing his mask from his days with the University of Maine. 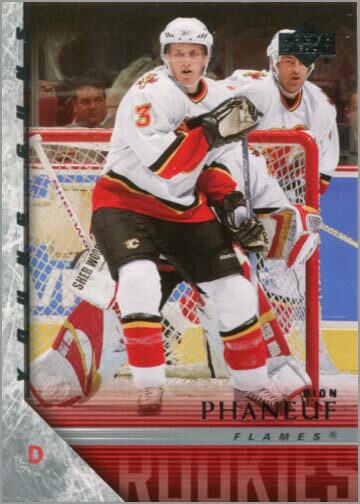 2005-06 Upper Deck #203 – Dion Phaneuf (Young Guns). 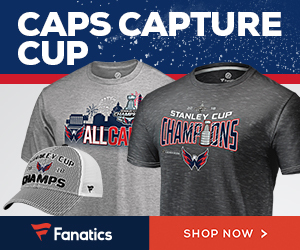 Did you know that Phaneuf came in third in voting for the 2006 Calder Trophy? At one time, Phaneuf was considered a better prospect (and defenseman) than Duncan Keith. How times have changed. 2005-06 Upper Deck #230 – Duncan Keith (Young Guns). 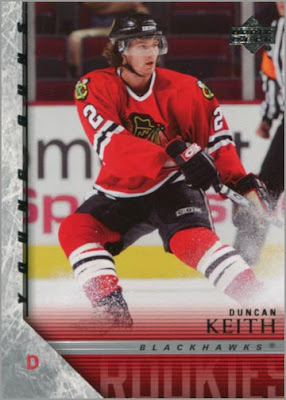 Speaking of Keith, I got this Duncan Keith rookie card from AU Sports, which is one of my favorite card shops. 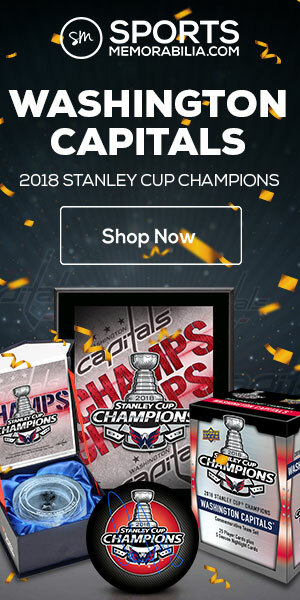 Now I am only 23 Young Guns away (including Crosby and Ovechkin) from having the entire set. 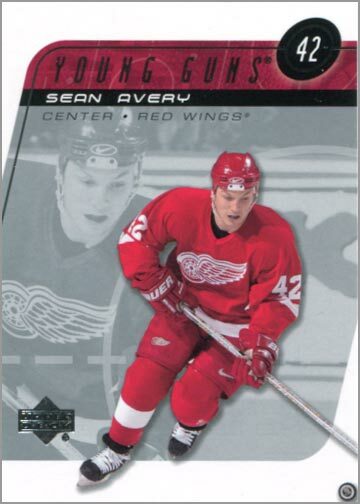 2002-03 Upper Deck #204 – Sean Avery (Young Guns). I also got this Sean Avery card from AU Sports. This reminds me of my favorite Sean Avery video of all time. (It’s 39 seconds well-spent). 20 cents each? Hell yes! A Clowe RC for a quarter? Awesome purchase! 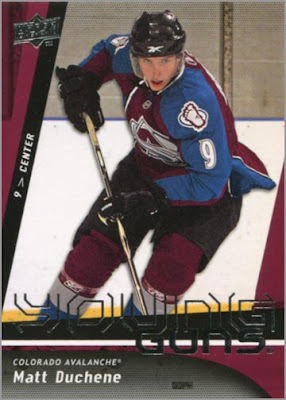 I just looked over your want-list and I know that I have a 2009-10 Upper Deck Series One Young Guns RC of Victor Hedman, #202. 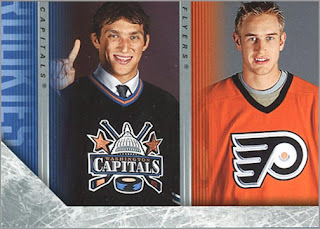 I also have 2010-11 UD 20th Anniversary Variations of Mikhail Grabovski – #17, and Tobias Enstrom – #191. 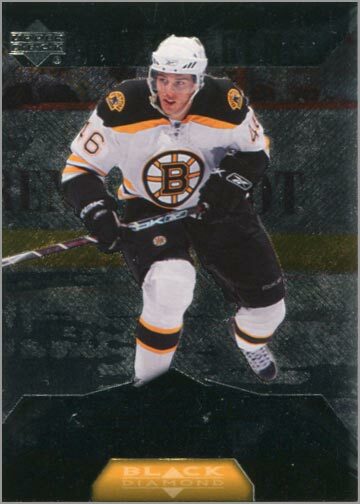 I also have the #45 Andrew Ference base card from the 2007-08 OPC set, and the #341 Zdeno Chara card from the 2005-06 Parkhurst set. I wasn't sure where else to post this… let me know if you want any of these. and we can get something worked out.